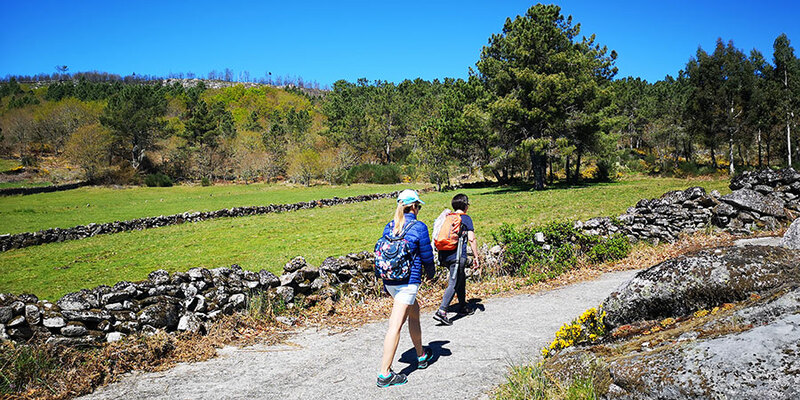 Heading to the Camino de Santiago and Galicia soon? One question we get asked quite often is about the food. We have picked what we think are the 10 most delicious Galician dishes you must try on your Camino trip. The ultimate Galician traditional dish. You will find it referred to as ‘pulpo á feira’ (in Galician), ‘pulpo a la gallega’ (in Spanish) or simply ‘pulpo’. Boiled to a perfect point and served with paprika, salt and olive oil, cooking octopus is an art in Galicia. It can’t be too hard or too mushy, it has to be just perfect. Don’t be fooled by the simplicity of the dish: a great ‘pulpeiro’ (someone who specialises in cooking octopus) is not that easy to come by! 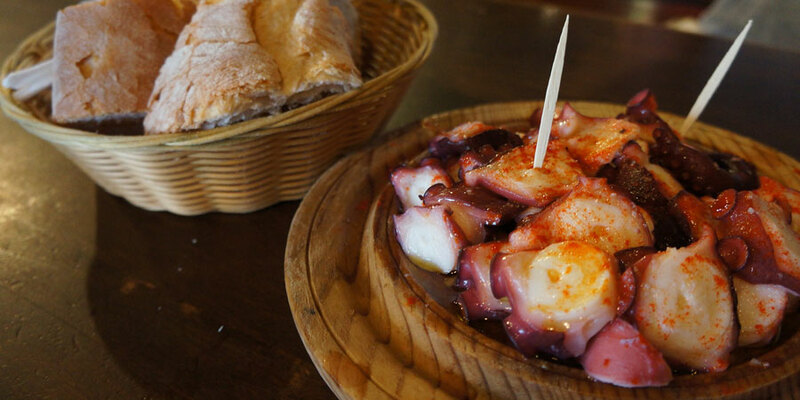 If you are walking the Camino Frances via Melide, you should stop at A Garnacha for a taste of delicious octopus. Many pilgrims have recommended it to us. The little green peppers from Padrón are quite unique and should be eaten in the right season (Summer). 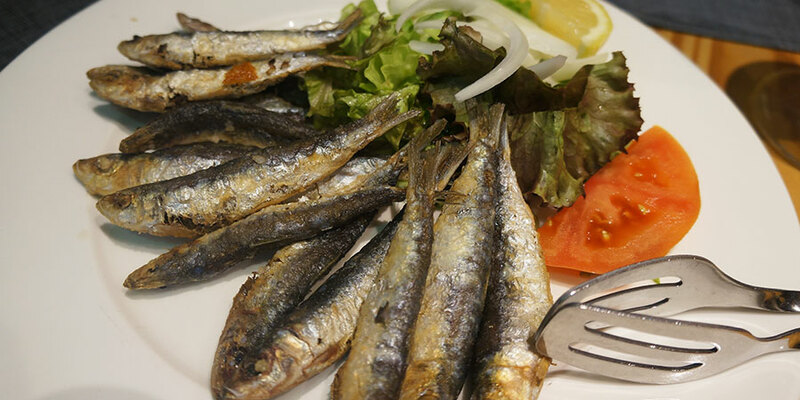 Simply fried and sprinkled with rock salt, they are the food equivalent of the Russian roulette. 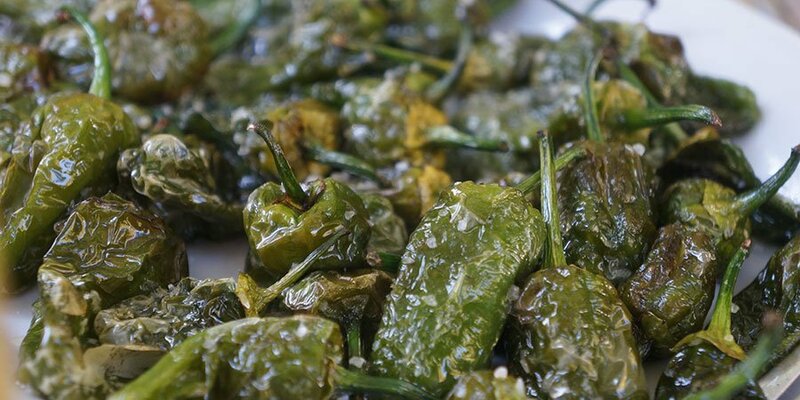 The Galician expression goes: ‘Pementos de Padrón; uns pican e outros non’ (some of them are hot and some of them are not). And it is so true: they are mostly perfectly sweet little peppers, but there is always the odd one as hot as a chilli. Many people have their different theories to guess which ones are going to be spicy: is it the ones with the pointy end? would it be the smaller ones? or the larger pepper? the truth is nobody knows but it is all part of the fun. Galicians would eat anything in empanada… these savoury pastries or pies come in many fillings and shapes but the most popular ones are filled, of course, with seafood or fish. Cod (bacalao/bacallao), mussels (mejillones/mexillóns) and tuna (bonito) are some of the most popular empanadas. The quality of your empanada will depend on the bakers, the type of pastry, the quality of the filling… but they are all delicious. Beware vegetarians! Caldo galego (Galician broth) might look like a harmless veggie-friendly dish with its cabbage, green leaves and beans but it tends to be ‘seasoned’ with pork lard and sometimes with other types pork meat. Caldo is a hearty, homely Galician dish, cooked in every home, specially in winter time. 5-Squid: all size and shapes! Crispy squid rings (calamares or luras in Galician) and baby squid (chipirones) are cooked in a light batter and simply eaten with a sprinkle of lemon juice. Hot or cold, they are one of the most delicious snacks. Cheese lovers might not be familiar with Galician cheese, mainly softer, mildly cured cow cheeses, usually eaten with quince jelly as a dessert. 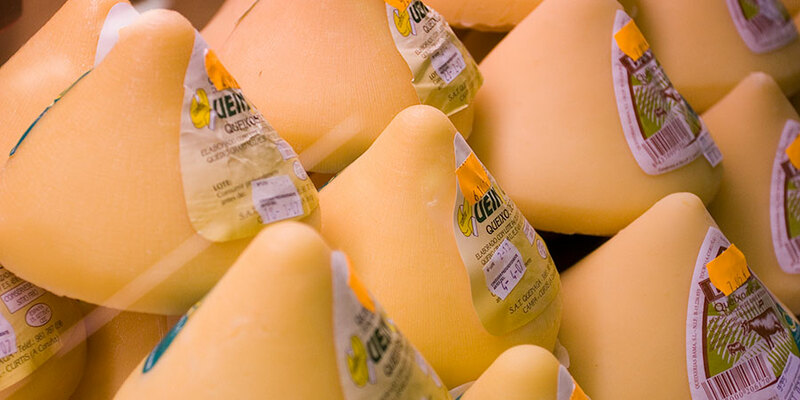 Galicia’s most characteristic and unique looking cheese is called ‘queixo de tetilla’ (meaning ‘little breast’) for its pointy shape. On your way to Santiago, along the French Way, you will pass Arzúa, famous for its pointy ‘tetilla’ cheese. Galicia is considered to be the shellfish and fish capital of Spain: clams, mussels, cockles, lobsters, prawns, crab or the extravagant gooseneck barnacles, tuna from Burela, hake, monkfish, sardines… the variety of seafood found in fish shops and restaurants in Galicia is impressive, seasonal and of premium quality. Go for a stroll to the Market in Santiago and you will understand, if you are visiting the coast, you are in for a treat. Also greatly appreciated in the rest of Spain is the ‘Ternera Gallega’ or Galician beef. If you are not into sea creatures, you can always go for beef. The traditional almond cake with Santiago’s cross is a perfect sweet treat to go with a coffee or after a meal. Many other towns in Galicia have similar almond tarts, but each with their specific differences. 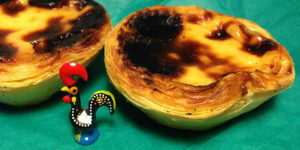 Creme caramel or flan is quite a popular dessert in Galicia. In Autumn, many restaurants and bars will make flan with chestnuts. If you have a chance, have a taste! it is delicious with a bit of whipped cream. A great spot for food spotting is the Mercado de Abastos in Santiago de Compostela, the city’s biggest attraction after the cathedral, of course! For all you need to know about food along the Camino routes you can download our new Camino Food eBook before your next trip.